The traditional make or buy models for driving growth are being disrupted by digitalization, which is putting the focus on partnerships as a growth strategy for businesses. This article explores what this means for companies and outlines the skills and processes they require to successfully embrace partnering in the digital age. Company growth strategies are facing headwinds. Competitive visibility and market predictability have fallen to an all-time low in the digital era, while volatility and disruption, in parallel, have risen to an all-time high. Finding and harnessing growth opportunities in today’s digital business environment is therefore a tall order. the case for the partnership model, making it a more relevant and powerful growth vehicle. However, managing partnership lifecycles successfully requires different and more demanding skill sets from CXOs and boards alike. Does your company have what it takes? In previous industrial eras the pipeline business model prevailed. This focused on building supply-side economies of scale, enabled by capital-intensive capabilities and networks. Markets, customers, technologies, and competitors were predictable and relatively slow moving. To generate additional volume, prices were lowered, which increased competitiveness and demand, thereby creating a reinforcing cycle. Make and buy models made sense in that environment. The digital era has brought with it disruptive technologies, ecosystem-like markets and platform business models. Each of these have profound implications for businesses in virtually all industries. The platform model, which creates and harnesses large, scalable networks of producers and consumers, is becoming dominant in many industries, such as technology services. Platform business models have been enabled by an exponential increase in the number of internet users, smartphones and cloud-based services, as well as a rapid decrease in the cost of storage, computing power, bandwidth, and software development. The result has been new competitors appearing overnight, even in market segments such as financial services and retailing, which were previously protected by high entry barriers. In this context, we believe that there is a mix shift in growth models, in which partnering 1 is becoming a more important strategic growth vehicle relative to traditional make or buy options. Once corporations have decided on their strategic ambitions and objectives, the question, “How do we get there?” is the obvious next step. 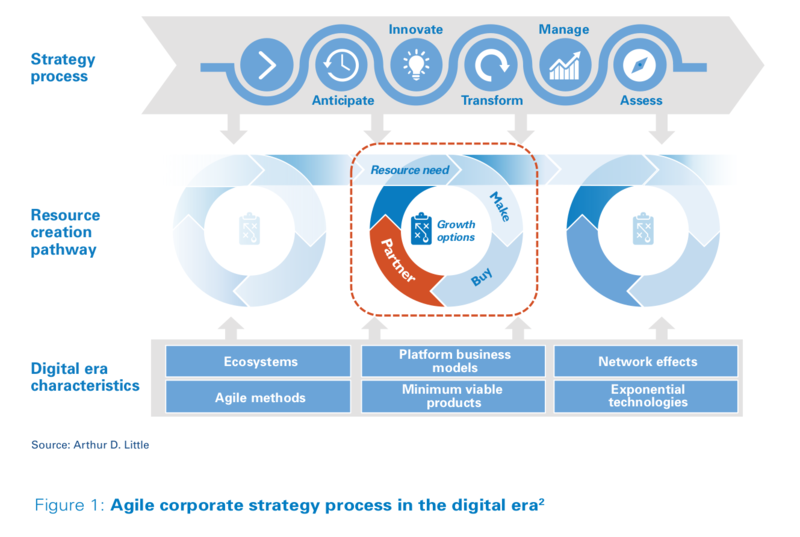 In the digital era, the strategic decisions related to resource creation have morphed from being relatively infrequent yet extensively analyzed, to becoming part of an agile corporate strategy process, as illustrated in Figure 1. In parallel, platform business models, network effects and lighter regulation have collectively created a “winner takes all” outcome in multiple industries, notably the tech sector. This is increasing momentum for stricter regulation of big tech through consumer protection legislation (e.g., the General Data Protection Regulation in the EU), and has sparked a debate concerning reduction of market dominance (“trust-busting”) in the US and beyond. Increased competition in and across industries means competencies and other key resources will be more widely distributed across players than they are today. This makes partnerships a more attractive vehicle for creating and accessing the scarce strategic resources needed for growth. The increase in the number of partnerships is supported by data from a recent article from Arthur D. Little in Prism H1 2017, “Ecosystem innovation – The growth of hyper collaboration in a fast-moving world”. 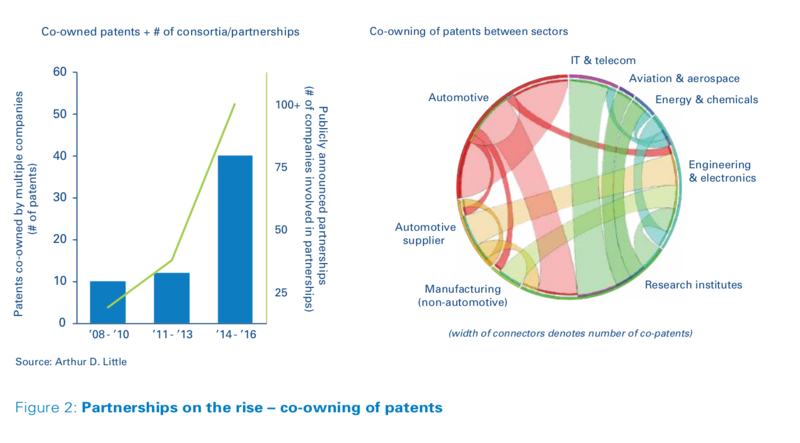 Figure 2 shows partnerships and patent sharing among and between sectors. 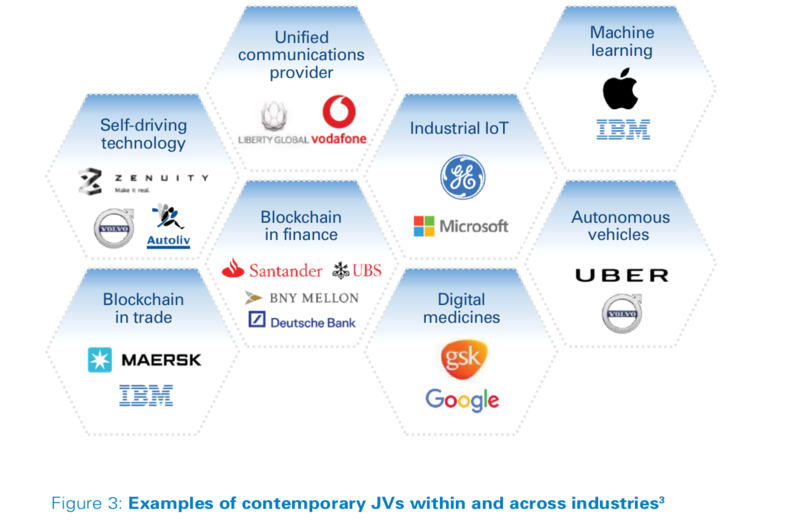 The following contemporary partnerships (in this case, all JVs) are manifestations of the above, all conceived in the context of the digital era. So, having laid out the case for increasing the use of partnering – what are its key success factors in the digital era, and how do they differ from those of the past?